Worldwide shipping can seem like a mammoth task to even the most organised of people, but there is no need to be intimidated by an international relocation when you enlist the assistance of Movecorp. Movecorp not only has a wealth of experience in shipping overseas, but we have worldwide connections with fully-accredited shipping agents and service partners, meaning you will receive first-class service wherever you are in the world. We have worked effortlessly over the years to fine-tune our economic, trusted and swift international shipping services, so we are proud of our standing as one of the UK’s most reliable overseas shipping companies. It starts and ends with your worldwide shipping quote. If you choose Movecorp for overseas shipping from the UK, you just have to request your free quote and leave the hard work to us! We take the reins throughout the entire door-to-door international shipping process, starting with introducing you to your removal coordinator so you can begin discussing the best package for your needs and budget. We will pack, store, load and deliver your belongings, and we even arrange all the necessary paperwork and documents in advance of your overseas move. It really is that simple! What is included in your worldwide shipping services? 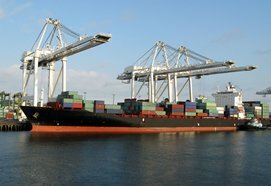 Following many years within the industry, we understand that no two international shipments are the same. Equally, no personal requirements or budgets are the same, so we tailor our shipping services to ensure the package you receive is perfect for you. What countries do you serve for overseas shipping? Annually, we help numerous businesses, families and individuals move from the United Kingdom to all corners of the world. No destination is too close or too far for the experienced professionals at Movecorp, so wherever you are heading, you can guarantee our worldwide shipping services have already taken us there! What items can I send when shipping worldwide? Our seasoned international shippers have the capacity to send just about anything you throw our way. 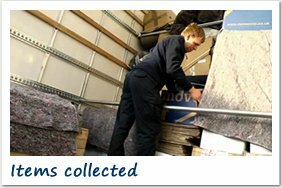 Throughout the years we have become experts in sending everything from a single box of clothing, sports equipment and musical instruments, to office furniture, home removals and vehicles. We can handle whatever it is you need to ship overseas from the UK, but just in case you are a little unsure, you can contact your removals coordinator any time… there is always a friendly face to answer your queries when shipping worldwide with Movecorp! What are your worldwide shipping costs? 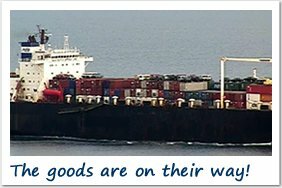 Movecorp believes in keeping our international shipping rates as economical as possible and we have options to suit all budgets and requirements. Your removal coordinator will assess the items you need to send overseas and advise you if a part-load or sole-use shipping container is the best method. Using our part-load service allows you to ship goods within a shared shipping container and you will only pay for the space your belongings consume, the perfect option if you have a smaller load. If you opt for our sole-use container, you pay for the exclusive use of one of our 20ft or 40ft shipping containers to fill how you desire. This is ideal if you are internationally shipping whole home loads, bulky furniture items or even your vehicle. Your chosen end destination is also a contributing factor to the cost of shipping abroad, however your removal coordinator will supply you with a detailed quote before you agree to anything. What are the shipping methods for sending items overseas? If you need your possessions in a hurry, air freight is the fastest transport method to move your goods internationally. Worldwide Shipping via air freight are highly convenient, but this does come at a cost. 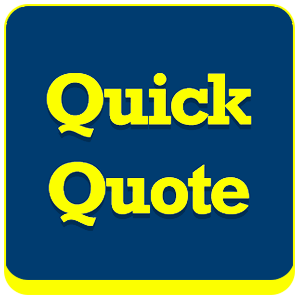 Your quote for air freight Worldwide Shipping is calculated based on the weight of your consignment, meaning it is not so economical especially for whole home loads. Another factor that could influence the cost of your air freight Worldwide Shipping is what you decide to do with your goods upon their arrival at your end destination. You can opt to collect your belongings at the airport yourself, or you can allow one of our diligent overseas teams to deliver your goods direct to your front door. For Worldwide Shipping on a global scale, sea freight is a popular transport method of choice due to its cost-effectiveness and ease for clients. Depending on your journey’s end, Worldwide Shipping via sea freight can be a slow process and so we recommend that you allocate ample time for your delivery. Dedicated container load is the ideal Worldwide Shipping method if you need to send an entire home load or a large commercial office space with equipment and furniture. You will pay for the personal use of a 20ft or 40ft shipping container. The 20ft container will comfortably fit a three-bedroom home and 40ft is ample space to send a vehicle alongside other goods. 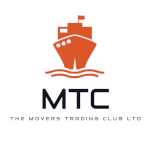 Why should I choose Movecorp for international shipping? 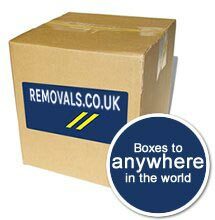 We are endorsed by BAR (British Association of Removers), The Removals Industry Ombudsman Scheme, IAM (International Association of Movers), FEDEMAC (Federation of European Movers Association) amongst many others.